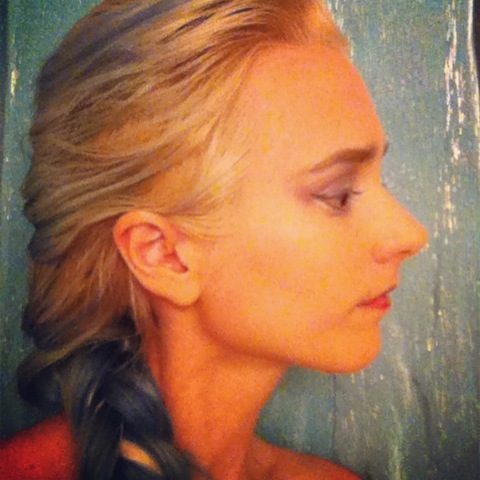 So as you may or may not know, I started work on a Queen Elsa costume almost as soon as I hit the runway in L.A. I had originally ordered one off of Aliexpress that I was excited about…. until it arrived. They had assured me that it would fit my 5’7″ frame and 25 inch waist… well the waist was OK, but the rest of the dress was made for someone several inches shorter. 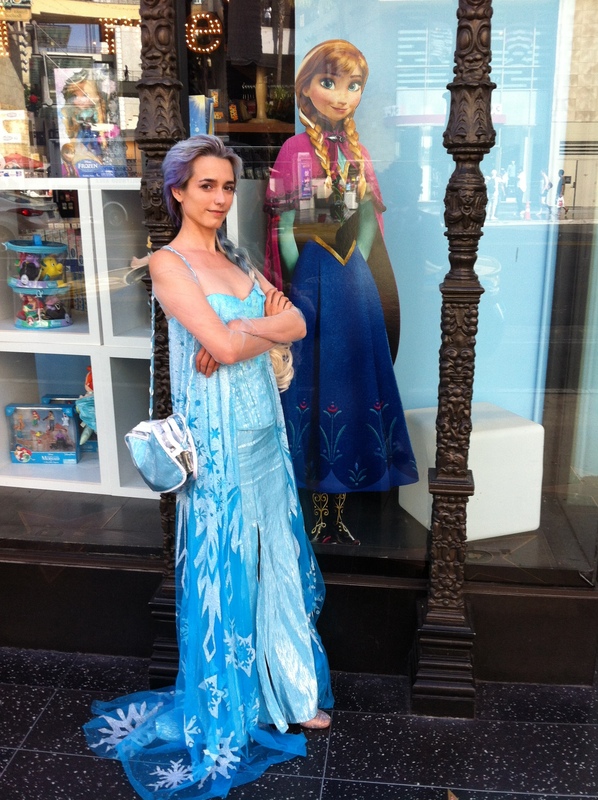 It looked like Elsa shrank her dress in the wash (why didn’t she use cold water?!). So I immediately opened a case there (which I am still fighting, because I had such a short amount of time to make a new dress that I decided to use the cape, and we can’t agree on a refund amount. I hadn’t the time to order or make a new one). I’ll let you know how that goes. My sister couldn’t be here today. I have to keep making excuses for her. So anyway! 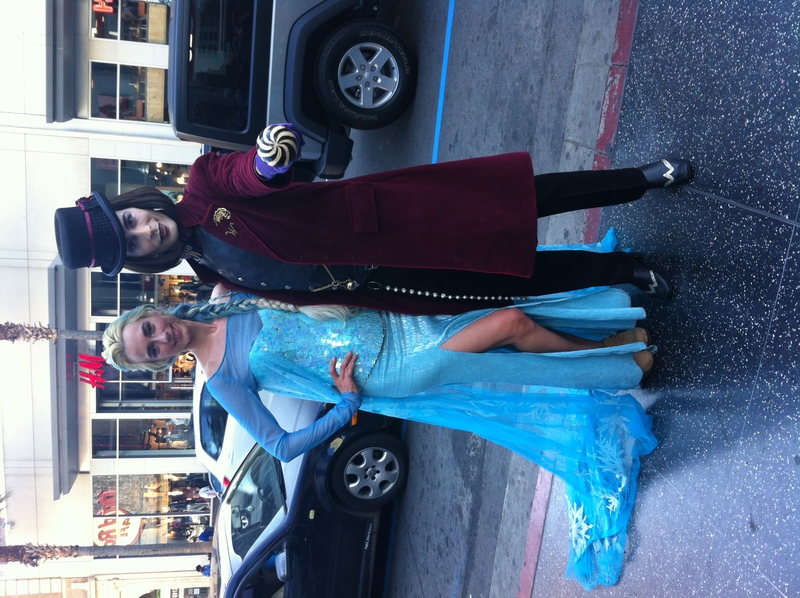 My brilliant plan was to not only make use of my blue hair for Halloween (I know her hair isn’t blue, I just can’t get it back to white…) but to have a little part time work walking Hollywood Blvd in costume. Yep, back to doing that. But this time as a princess! THE most popular princess EVER. I forgot, however, how obsessive I can get about costumes. As of today, I have spent over $300 to create this costume (including about $40 in new make-up. It’s organic). I actually had to order more material to make a new skirt, because I dripped super glue on it, and then the dry cleaners did something to it that picked at all the silver thread and made it extremely itchy. I also think it may have shrank, because that side seam just keeps inching it’s way up…. On the positive side to that is that when I went to Joann Fabrics yesterday for a zipper, I found new Simplicity Frozen patterns (new to me, I hadn’t seen them before and nobody had mentioned them online!) and they were $1 (down from $20! So many parenthesis today!). 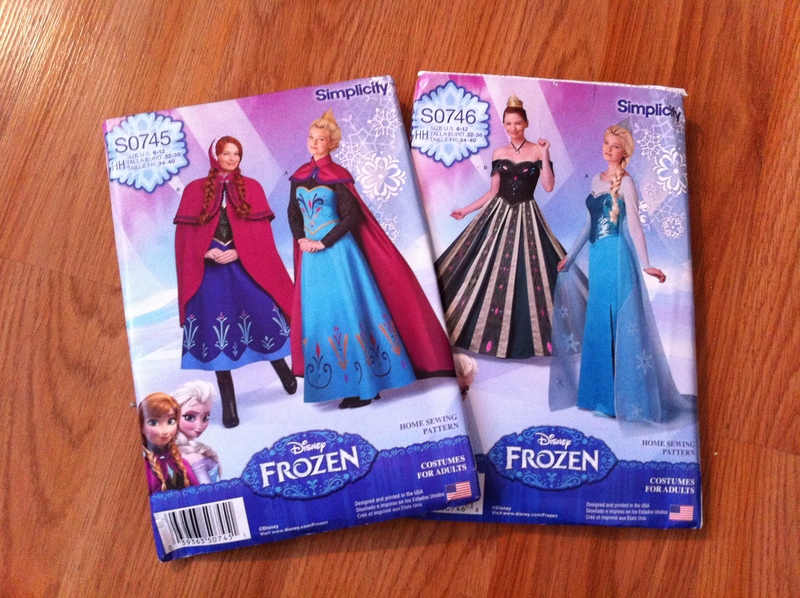 So instead of modifying a skirt pattern, now I can just use the “real” Elsa skirt pattern. Perhaps it will lay better with the split in the side accounted for in the pattern. I haven’t worked many days on the boulevard, and some have definitely been better than others, but I’m actually beginning to find it enjoyable. 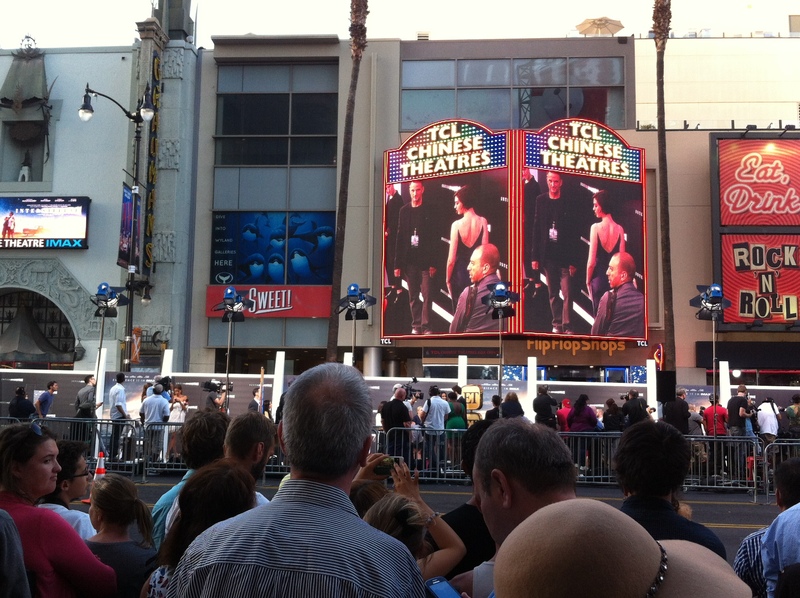 As Catwoman, no little girls were running up to you, throwing themselves around your knees, crying “Elsa’s here! I knew she would be here soon! I can’t believe it!” I’m really enjoying the ability to make a little girl’s day. I just keep hoping I live up to their expectations. I’ve even rigged up a levitation trick with a snowflake, but I’ve had problems with it and didn’t set it up this weekend. I’m actually sad that it’s the “off-season”, and not just because I can’t make money on weekdays, but because now I do look forward to going out there. OK, it’s not my dream job, but I can excite so many people simply by putting on a costume. By becoming someone else. I hear my name (“Elsa!”) every few minutes, people waving from cars, people who haaaave to take a picture with me for their daughter/niece. I start to wonder if this is how it feels to be someone like Kiera Knightley or Angelina Jolie, or any celebrity you might recognize walking down the street. Of course, they aren’t wearing a bright blue, sparkly dress everywhere they go. I’m an easy target. Perhaps because I feel I’m in a rut I don’t know how to get out of, but this costume has become my life. I’ve been focusing on it almost exclusively. The excuse is that I can use it for work. I have even sent emails to companies that do children’s parties, since they pay well. But really, I think it’s my creative outlet, and also a way to transform myself into the beautiful, magical being that I want to be. Though that beautiful, magical being cannot drive a car in a corset made of sequins and rhinestones…. I think, because of the popularity of Queen Elsa, I will put together a post about my costume, a little “how to” with lovely photos. I’m going to be doing a photoshoot in the next week or so, and I want to include one of those photos to show the fabulousness of it. 🙂 It may not be a solution to world hunger, or a contribution to world peace, or anything like that, but if I can help someone else in their quest to feel like a princess, well, then I’ll do that.